Bar says RRP £1 - Other bars prices at £1 - Cadbury Dairy Milk Oreo Peanut Butter Chocolate Bar showing on receipt as 50p!!! Picked one of these up today, pretty awful ..
Nobody gonna wheel out the HUKD misprice bingo image?? I'll do the other one for you. Me too Zee... there was 2 boxes of them when we found them this afternoon.. there is now one, as you can see we left some there! Apparently! 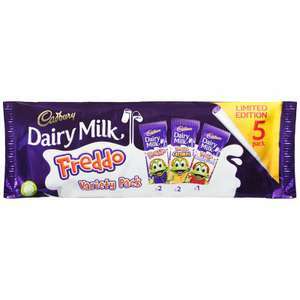 I ate the normal Freddo and caramel one (Taz) a lot as a kid, and I've had them as an adult but not often. 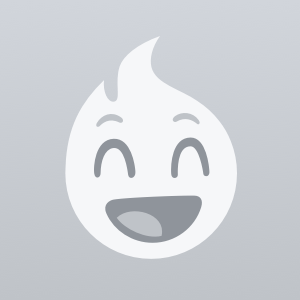 Somehow never seen the popping version, or variety packs until this post though. Lovely! Just had a block of Fruit and Nut, there's quite a few fruit and nut cases around...…. Oreo one is rather good. Cadbury milk chocolate 200g, in local Tesco. I saw them in store. Not looked on the website tbh! The offer at Tesco not bad but if it's the one on their website it isn't the variety pack. 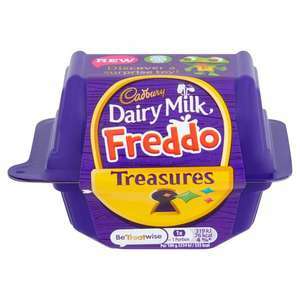 Cadbury Dairy milk Freddo Treasure Chocolate box with surprise toy, 14.4g from 18 Feb 19. Paid 99p for one of these at my local Lifestyle Express Store. There is a tiny plastic toy, worse than any Kinder toy I have ever seen and (as a previous commenter mentioned)you get about 10 chocolate buttons! 65p is ok for the novelty but it’s not something I’d buy again. Good deal for a special birthday. Try Aldi's stuff - very nice and much cheaper. Perk of the job, only fair that the staff should get some benefits. Any Christmas stock still left, gets left for staff at this price from the middle to the end of January, not for customers. I work at Sainsbury’s, and bought quite a lot of Christmas treats on the cheap. Used my discount card too. yep. I've boycotted Cadbury's and the shyte they peddle. Yes, I asked at CS who stated that online price is separate to instore price. These are still £2 in my local store, checked yesterday after a simalr deal pwas last week. Are people managing to find these bars for £1.50? I’ve checked three or four Tesco’s without luck! Absolutely correct. Whatever the standard set for the product, with appropriate quality control (very easy to achieve across Europe) the products coming off the production line will be identical, whether made in Bourneville, Poland or Belgium. I don't understand, what's Poland, Turkey or Beliguim got to do with it? I mean what's wrong if it's made there. Surely they'll make it to the same standard as UK, even if the standard nowadays is naff. Am I missing something? Genuine question. These were marked down at my local coop to clear. 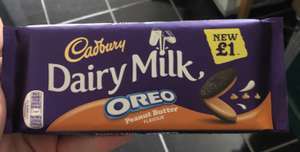 It's Mondelez 'chocolate' now - disgusting stuff! CHRISTMAS CHOCOLATES STILL AVAILABLE AT B&M!